Time for another 3D encode! Since it’s been a while since we released a 3D encode, this is a 1080p side-by-side half-res encode which should be supported by most 3D displays. Two subtitle tracks are included, but the dual stream subs are probably what you’ll use. For more information, click HERE for the 3D encode guide on our anime page. Some of it doesn’t apply here, but it does have all the important info you’ll need. Enjoy! Another completed series means another Design Gallery! 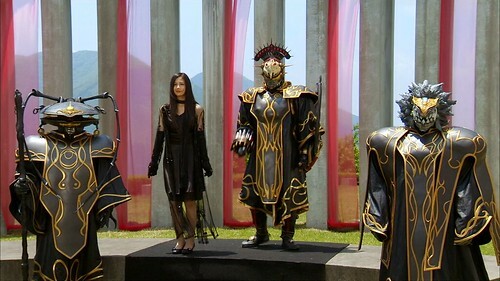 This set contains art of the two Riders and their various forms, their equipment, and the Zodiarts seen through the series. As always, there is an online gallery on Flickr, and either a resorted PNG set or the original ordered BMPs on Mega. Enjoy! Another one in the bag! 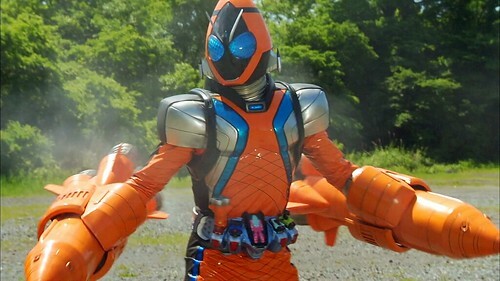 As I mentioned when I finished OOO, Fourze was my first Rider series and while it took some time to complete, I was glad to revisit it. 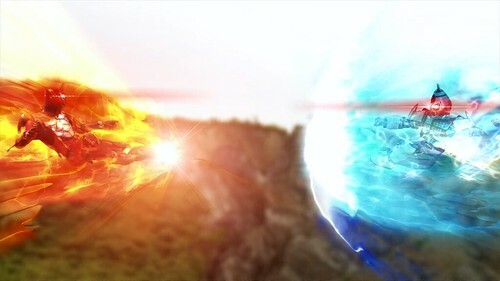 Meteor’s arc is a little less tedious when you can marathon episodes rather than watching them weekly. Plus, that funky disco transformation tune is still my favorite. It was fun getting to add the fairly terrible English dub to the episodes we could as well. While the editing had to get creative at times due to missing chunks of audio, I think it came out pretty decent. Give it a listen if you haven’t checked it out already because it’s interesting to say the least. Anyway, the only major stuff remaining here is the Design Gallery, which I hope to have up tonight or tomorrow, and the final batch. There are a few Director’s Cut editions of some of the episodes, such as the Cosmic States debut and the final episode, but since A: I don’t have those discs and B: there are no subs for them that I am aware of, we won’t be doing them any time soon. Same with the summer movie, since Over-Time’s release was a BD encode anyway, and Aesir didn’t do subs for it. 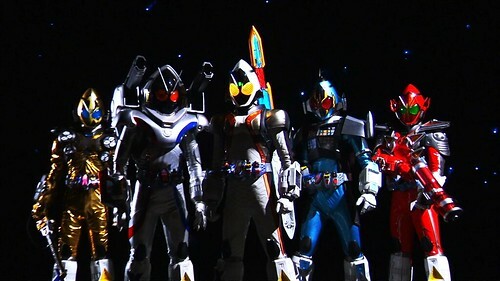 Since the same can be said of the Fourze x Wizard movie, this is pretty much farewell for the Kamen Rider Club. 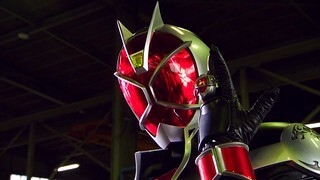 As for what’s next, as I’ve said before, we’ll be moving forward in order, so Wizard is next. 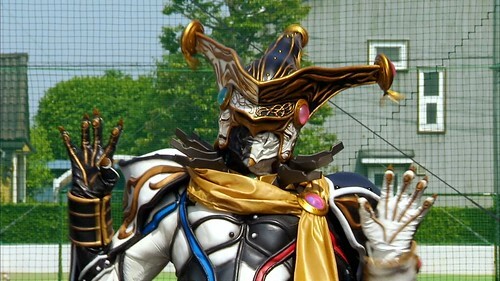 However, before I start on Wizard, I’d like to catch up with a few things I’ve been meaning to finish, those being the completion of Akibaranger Season 1, the 3D encode of OOO Wonderful, and if I can finish it in time, the hybrid HD recut of the Director’s Cut of W Forever. By that point, I should receive the first Ghost BD box (scheduled for mid-April), so those will get done and then we’ll dive into Wizard. This assumes that I don’t decide to just start Wizard sooner anyway. We’ll see. 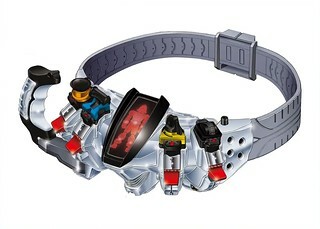 It’s my hope that Wizard will go faster thanks to only having one sub track opposed to the 3 and later 4 that we had for Fourze. So, look for those other releases in the coming weeks, and whether you like Wizard or loathe it, it should at least look pretty in 1080p, so look forward to that too! 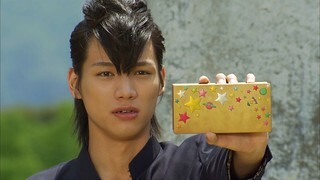 With Kengo’s death at the hands of Sagittarius and the destruction of the Rabbit Hatch, a distraught Kamen Rider Club reads the final letter from the Core Child written before his death. 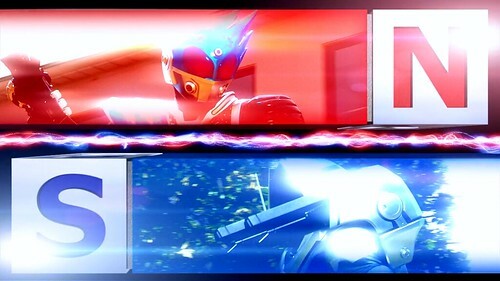 A resolved duo of Riders must face the Horoscopes one last time to avenge their fallen friend and stop Gamou for good. 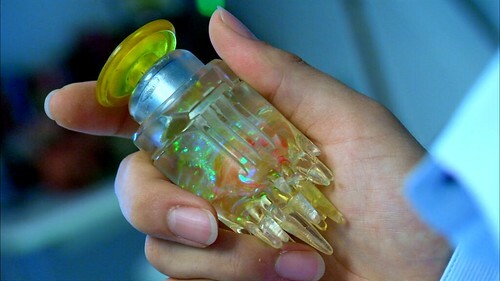 With Gamou’s scheme to use all twelve Horoscopes Switches thwarted, Kengo reveals the truth of his origins to the Kamen Rider Club and his eventual parting with his friends. 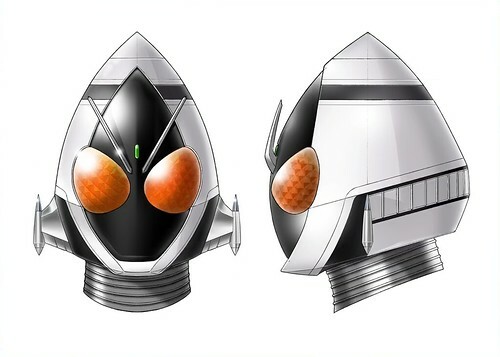 However, the Horoscopes attack the Rabbit Hatch to eliminate Kengo, getting the Kamen Riders to desperately fight back to protect their friend, who must go back to the Presenters. 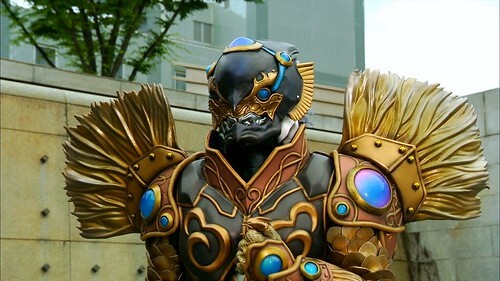 Ran refuses to hand over her Pisces Zodiarts Switch that will finalize Gamou’s plans, so he sends Tatsugami to take her Switch. 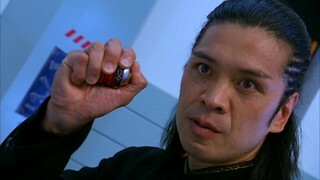 Elsewhere, Kengo discovers a secret from the USB drive he found in the late Emoto’s office. 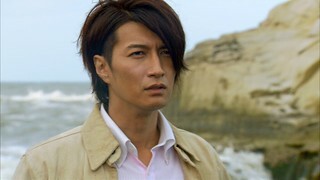 While celebrating Kengo’s birthday, the Horoscopes have located their final member, Pisces, in Ran Kuroki, who has been given the chance to study abroad in America. 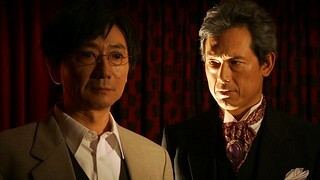 But after Leo attacks, Hayami gathers the Kamen Rider Club to tell them the truth of what has been happening and prevent Ran from becoming the final Horoscopes. 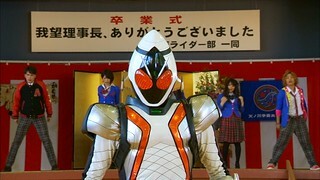 The Kamen Rider Club work to save Yuuki from ceasing to exist as Fake Yuuki begins to take her place as the real Yuuki. As Gentarou suddenly realizes the nature of the forgotten promise, he rushes to stop the ceremony before Yuuki is gone forever. Yuuki starts acting stranger than usual with strange incidents getting traced back to her. 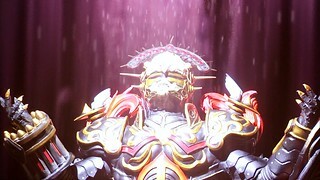 As Yuuki somehow transforms into the Gemini Zodiarts, Gentarou begins to suspect something’s not quite right.